Distribution and extent of the bedrock geologic units within Illinois. 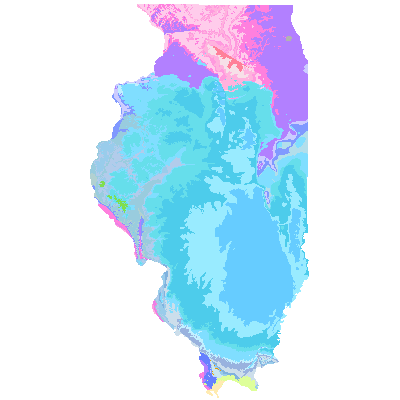 Data are as depicted on the map Bedrock Geology of Illinois (2005) by D. Kolata (compiler). ISGS, 2007.